You don’t want your lotion or shampoo to be leaking all over your clothes and other items in your suitcase. But what can you do to stop this? Unscrew the lid from the bottle. Place a small piece of plastic wrap over the opening and then twist the cap back into place. This will create a seal to prevent spills or leaks. No one wants the potentially dirty bottoms of shoes touching their clean clothes. To prevent this, recycle a plastic shopping bag to wrap up your shoes, keeping the nearby clothes clean and tidy. 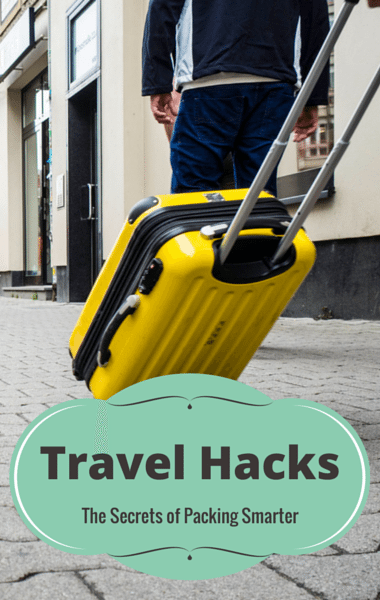 Then place the bag at the bottom of your suitcase to help your bag distribute the weight, making it easier to carry. Fold a collared shirt and then loop your belt around the shape of the collar to prevent it from getting crushed or wrinkled during travel. Then you shouldn’t have to iron when you arrive at your destination.